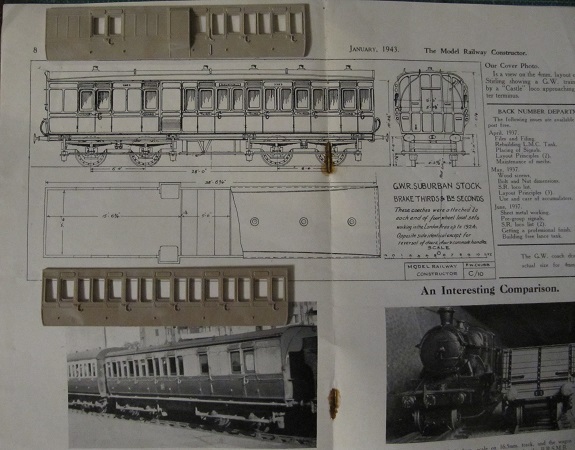 For the first time since roughly the early 1960s I'm contemplating a layout that will include GWR trains. Perhaps I should have entitled this post "Rivet Counters Ahead". A collection of suitable rolling stock and a Pannier have been unused in the stock-box for a while, and have recently been joined by a Beattie Well Tank; the die seems cast for something Cornish, and thoughts have turned to a Chris Ellis idea Ruthven Bridge, being a slight reworking of the real Ruthernbridge goods branch off the Bodmin & Wadebridge. Several track plans have been doodled and I have decided to bend history a bit further and extend the line to the next village, Withielgoose, although the fictional version is likely to be called Goosewithiel. The latest track plan is loosely based on Gupworthy (aka Goosemoor - is a connection emerging? ), which has had an extra siding added, but in place of the narrow gauge connection to a nearby mine I have substituted a standard gauge tramway connection, to be shunted by my "industrialised" (ex L&Y) Pug. A second gauge would have been attractive, but took up too much space besides depriving the standard gauge of one siding. As usual the baseboard will be 54 inches long, and although I'd been hoping for less, will be 15 inches wide. The bonus of the extra width is that I could use the traverser fiddle-yard from Great Sutton, which has a useful extra couple of scenic inches and a stone over-bridge exit which fits the West Country location. The traverser is 23 3/4 inches long, which by a happy coincidence is exactly right for the Pannier, plus four wagons and a brake - and also matches the clearance in the station's run-round loop. I need to draw this up full-size, but early trials seem to be OK. I'll add a doodle plan here when I have more time. Many years ago, on holiday in Cornwall, pre-sprogs, I said to my (now ex) wife that Trethis, Trethat and Trethingy would make good names for a GW branch line's stations. I did go so far as buying a Collett goods to go with the Dean goods, small prairie and a couple of auto-tanks that I already had but nothing more came of it. The full-sized plan has been drawn up and it all fits the baseboard, though I have swapped the position of the cattle pen and goods store (as shown here), in order to minimise the time a wagon is needed to load at the inner end of the platform. This is very short, just taking the Pannier and two four-wheeled coaches, but then this was designed as a goods branch with occasional passenger service. One engine in steam, so no signals and a ground frame for the points. Like the look of that Giles. With your usual scenic treatment I think it will look fine. There's a lot to be said for a simple but interesting track layout. I will follow this with interest. As an alternative you should also be able to run one of the short autotrailers. The platform might even take one of the 70' autotrailers. The GWR had some very short 38'6" coaches, which might substitute for a four wheeler with only a little more space. Here is a potential rainy day project, the sides are the ratio 4 wheel 3rd and brake/3rd. Nice coach, Clive; thanks for the details. Yes, the platform would take a standard auto-trailer, but I think it might be a bit overpowering, and I'd need one of the fully panelled ones - I think the commercial offering is a smooth-sided coach (dating from the mid-1930s, perhaps?). Judging by some pictures I have of very rural branches, a two coach train of 4-wheelers was quite typical, with the advantage that I already have them in stock. At present Goosewithiel is taking a back seat as I'm currently working on the American layout (plus maintenance on the show layouts).